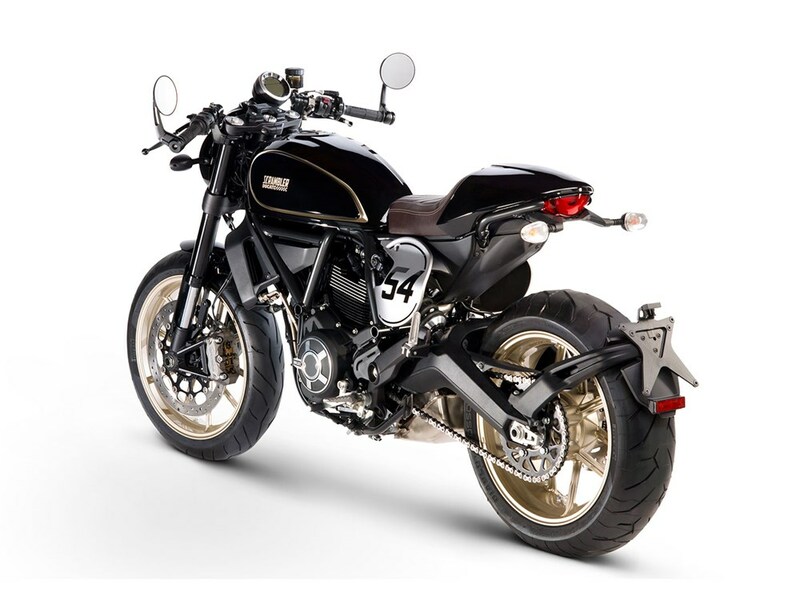 Ducati, one of the world’s prominent super bike maker has officially revealed a new Cafe Racer model. 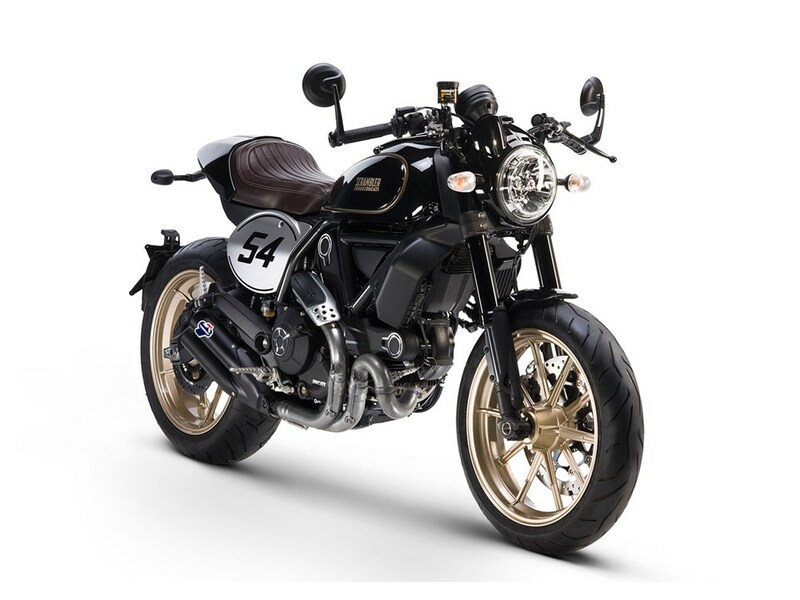 Dubbed as “Ducati Scrambler Cafe Racer“, it is based on the popular Scrambler. This is going to be cheapest cafe racer motorcycle coming from Ducati portfolio. 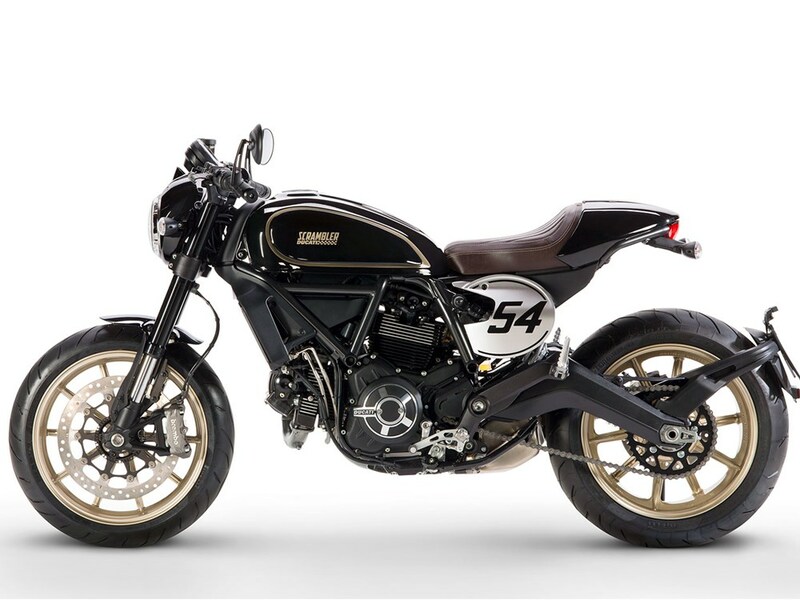 The Ducati Scrambler Cafe Racer is expected to be launched in 2017 and it could be also introduced in India. The new Ducati Scrambler is powered by 803cc, L-Twin, Desmodromic engine. The engine is capable of producing 75 HP of power at 8,250 rpm and 68 Nm of torque at 5,750 rpm. This 803cc engine of Ducati Scrambler is mated to a 6-speed gearbox. The engine in this motorcycle is Euro-4 compliant. The Scrambler cafe racer from Ducati gets a very minimalistic body design. Being mimimalistic, the motorcycle also gets attractive bar end mirrors, gold painted alloy wheels, new tan coloured seats equipped with a pillion seat cowl, Termignoni exhaust, a “54” logo badging on the side panel of the motorcycle. 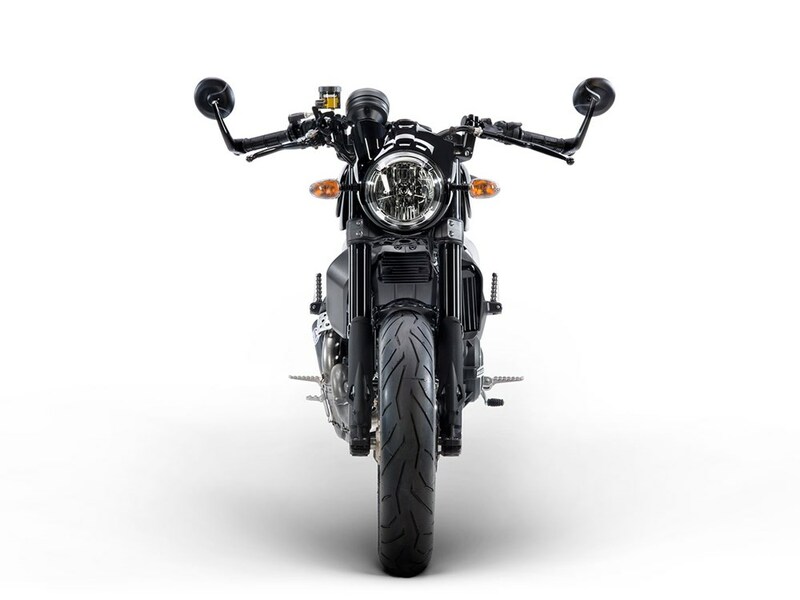 You can also observe neatly the Scrambler detailing on the fuel tank, glossy headlamp fairing as well. The new clip on handlebar of Scrambler Cafe Racer shall completely change the riding dynamics of the motorcycle with a new seating posture. Ducati calls this livery as ‘Black Coffee’.